Of all the issues threatening to upset international relations—refugees, “shithole” slurs, false alarms—we just didn’t see manchego cheese stirring up controversy. 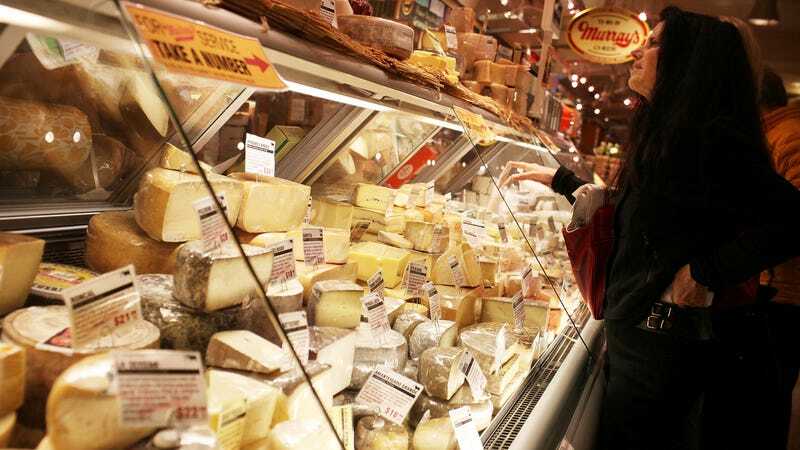 But The Telegraph reports that acrimony over the right to the term “manchego cheese” threatens to derail a Mexico-European Union trade agreement. To recap: Spain is pissed. That country’s manchego, a cured sheep’s milk cheese, has a centuries-long history of production in the La Mancha region. In Mexico, cheeses labeled manchego are generally softer, less piquant, and are made from cow’s milk. Spain has reportedly tacked on a provision in the Mexico-EU trade deal that would pave the way for La Mancha-produced manchego cheese (and wine) to be marketed with an exclusive label indicating their region of origin. A Spanish cheese industry group has compared it to Scotch whiskey. Mexican authorities have reportedly compromised with EU negotiators on terms for the continued sale of Mexican brie, camembert, gouda, and mozzarella. For now, manchego stands alone.